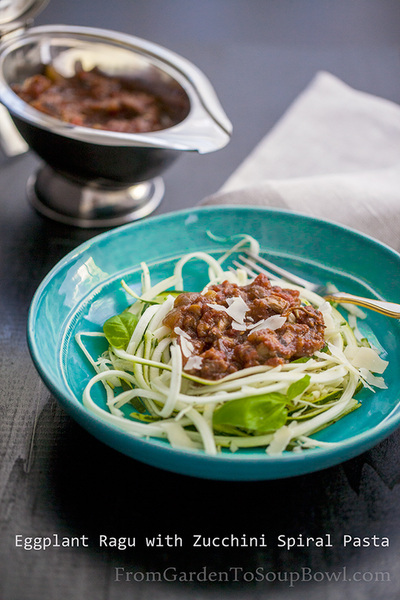 Simple Eggplant Ragu with Zucchini "noodles"
Having a low carb alternative to pasta is so great! The good news is that it really taste good as well. You can use many different vegetables as "pasta". I list some ideas on the bottom of this page. 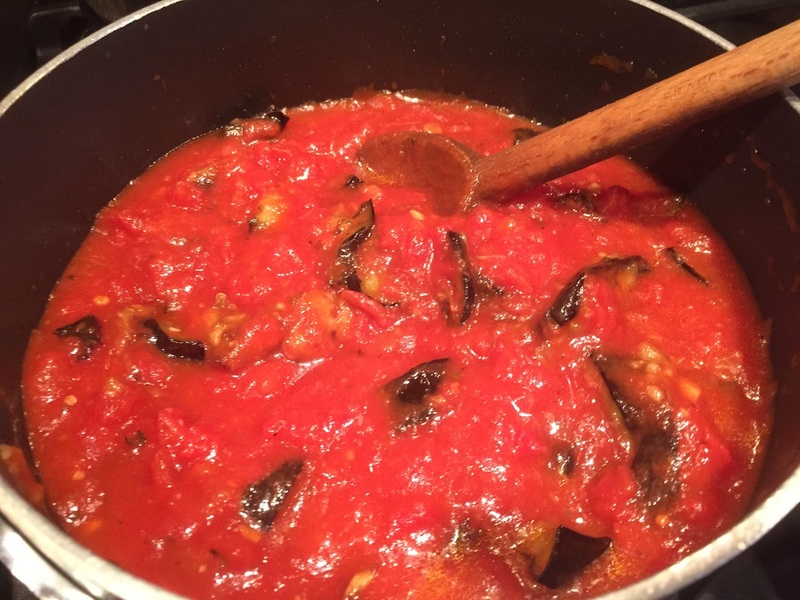 For this recipe we used Zucchini which is one of the most popular. 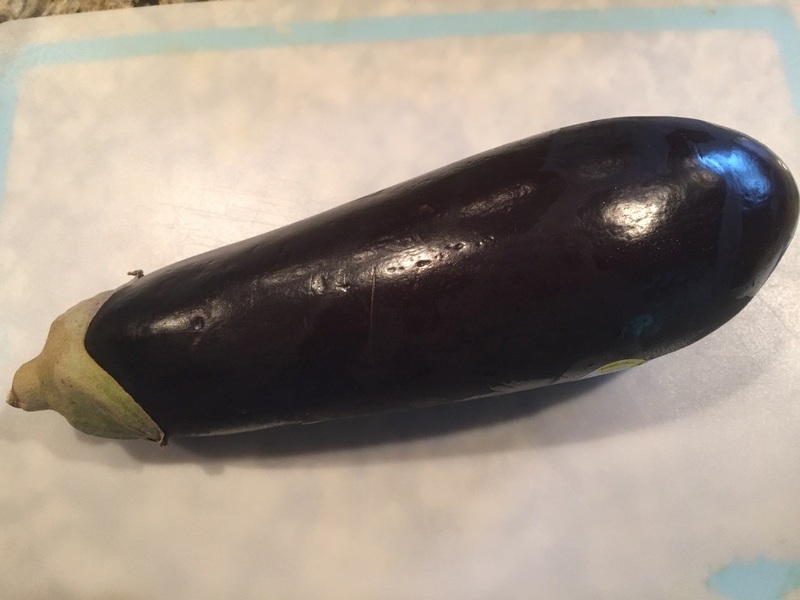 Each medium zucchini provides 33 calories, 6.1 grams of total carbohydrates and 2 grams of fiber. By comparison, a 1-cup serving of pasta contains 220 calories, 43 grams of carbs and 3 grams of fiber. Looking at this side by side really shows you how much healthier squash pasta is over regular pasta. If you think that you would not enjoy squash in place of your pasta why not try it half and half to start with. Pre-boil your pasta, add the squash in for the last 30 seconds of boiling time and serve half pasta and half veggie "pasta". Having a hand held Spiralalzer makes making veggie noodles very simple. I have listed the one I use on this page and as you can see it is inexpensive. You could also use your kitchen knife and slice in skinny lengthwise strands. I love vegetarian dishes and this sure is one! 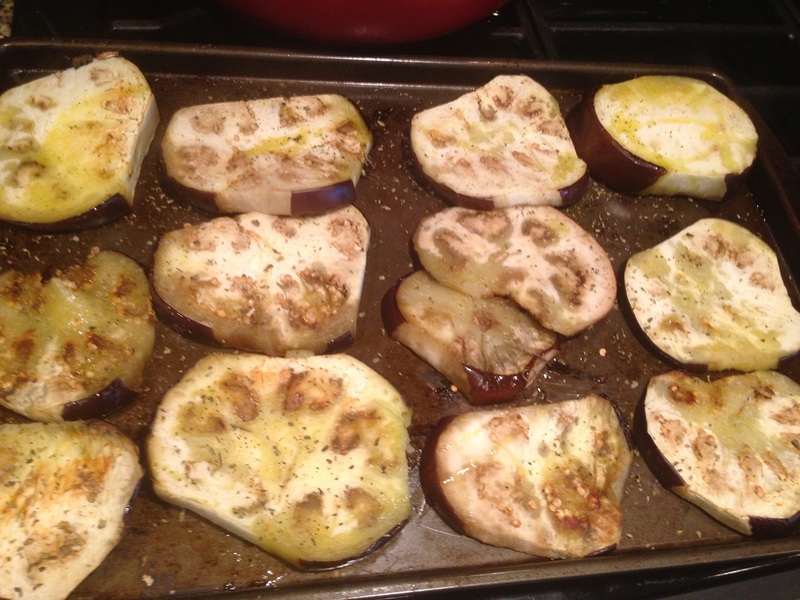 We pre-roasted the eggplant, onion and garlic to bring out the carmelization and great flavor. Served over spiralzed zucchini "noodles" make a delicious and nutritious dinner ! On cookie sheet or roasting pan place eggplant, onions and garlic circles with drizzle of olive oil in a preheated 425 oven. 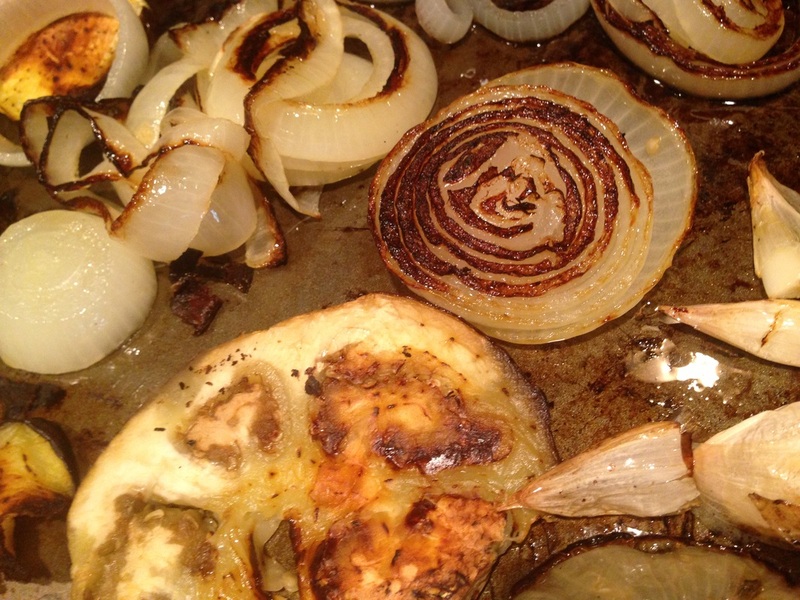 Cook until onions are brown and eggplant soft about 15 minutes. Place on chopping board and cool for a bit. Chop into small pieces and mince garlic. Add to large cooking pot with crushed tomato and puree. Add seasoning and balsamic vinegar. Taste and adjust seasoning. Cook until sauce thickens about 25-30 min stirring a few times. 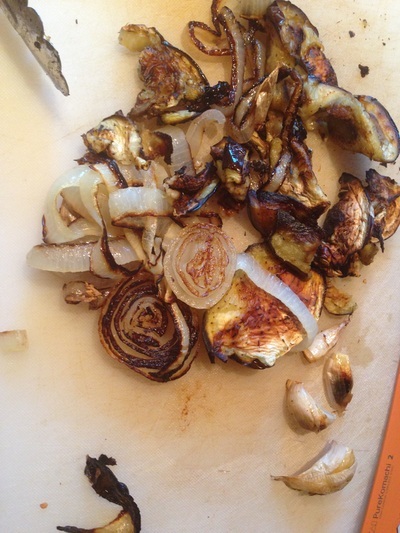 Serve hot over Spiraled Zucchini .The heat of the sauce will cook the zucchini just enough. If you like your noodles a bit more done then you can microwave your zucchini noodles for one minute before adding sauce.